Weanafeeda is designed to encourage responsible breeding of dogs. 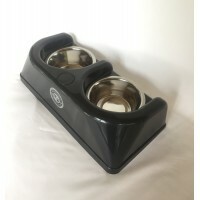 It is the first, and particularly important training aid for puppies to eliminate aggression associated with food at feeding times. Welcome to our new and improved website, we hope you enjoy the new facilities and products. We are sorry but due to the complexity and security aspects of the new website we were unable to transfer the existing customer database and passwords. Therefore existing customers and new customers will need to register their details again. We regret any inconvenience this may cause but feel sure the advantages of the new site, including mobile device compatibility will prove worthwhile. The Weanafeeda Maxi 6 is suitable for medium/large to giant breeds. Th.. The Weanafeeda Maxi 4 is suitable for medium/large to giant breeds. Th.. The Weanafeeda Mini 6 is suitable for all medium & small breeds. The M.. The Weanafeeda Mini 4 is suitable for all medium & small breeds. The M.. 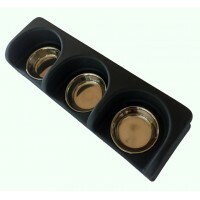 The Weanafeeda Micro 3 is suitable for all tiny breeds of dog, small k.. 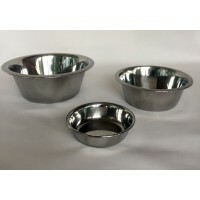 The Cleanafeeda Maxi 2 is suitable for small/medium dogs & cats The Ma..
Additional / Replacement Stainless Steel Bowls for the Maxi, Mini and ..